Pete the Cat make celebrating seasons and holidays special! 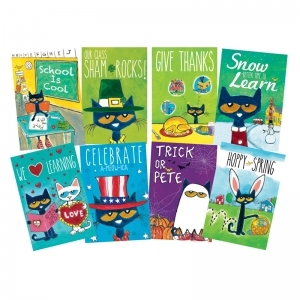 Bulletin board sets include eight 11 3/4 x 17 1/2 posters: Back-to-School, Thanksgiving, Halloween, Winter, Valentine's Day, St. Patrick's Day, Spring, and Patriotic. Imagine students' surprise when they are greeted by this giant portrait (22" x 68") of the "Father of our Country." 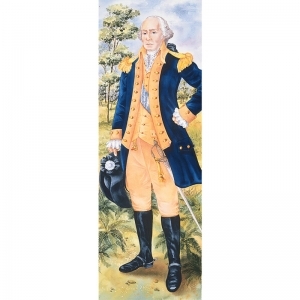 The poster comes with a teacher's guide containing a biography and related student activities.